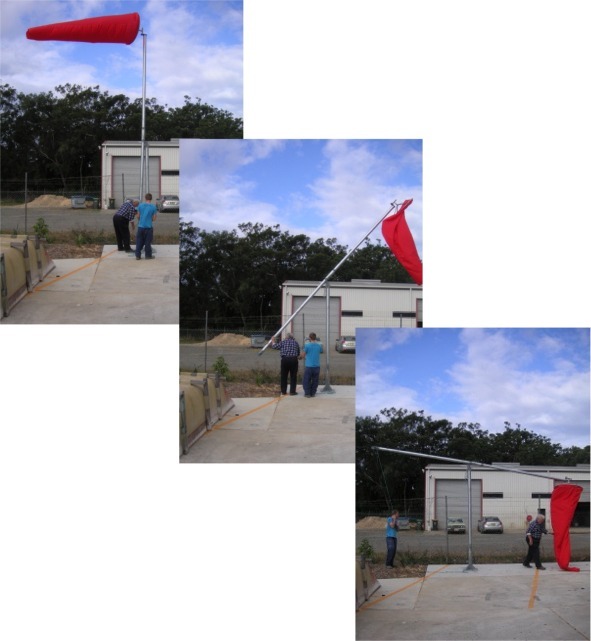 This wind indicator pole is sold complete with a swivel and is available in either a standard design or a cyclonic design. 9m in height. 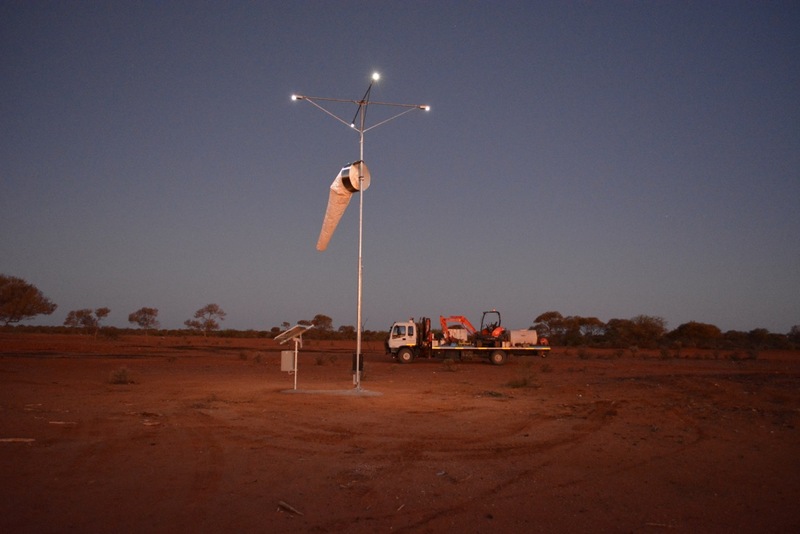 The unit is NATA certified, MOS139 compliant and looks absolutely brilliant at night with LED lighting installed. 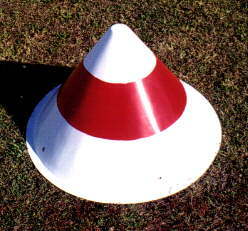 MOS139 Compliant yellow and white cone markers (visual aids) for the movement areas of the aerodrome. This product is not available for online purchase due to variable shipping costs. Please ‘Add to Quote’ to get a tailored quotation. 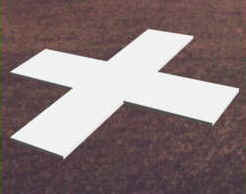 Various ground markings are available including unserviceability crosses, restricted operations signals and the like. 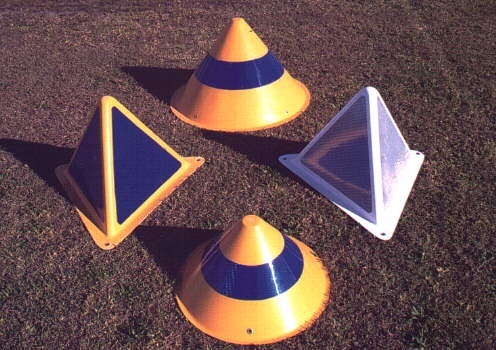 The ground markings are polyfabric and can either be secured with pegs (purchased separately from the site) or weighed down with sand bags or other items. Various sizes and colours. 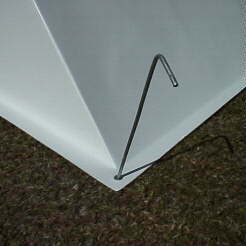 The White 3 metre gable is MOS139 compliant and requires 6 pegs to secure the gable markers to the ground. 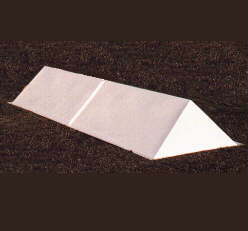 The gable markers are durable but frangible and made from fibreglass here in Australia. 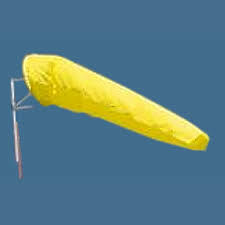 We have a variety of wind socks available including standard MOS139 sizing as well as the smaller 8 foot size for non-certified aerodromes, heliports etc.